Welcome to round two of Roth IRA indoctrination! 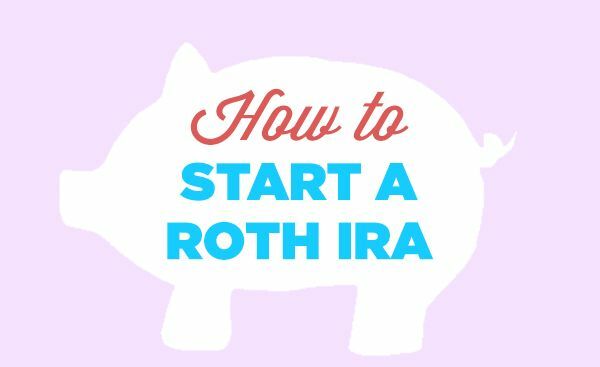 Yesterday, we discussed why to start investing in a Roth IRA. 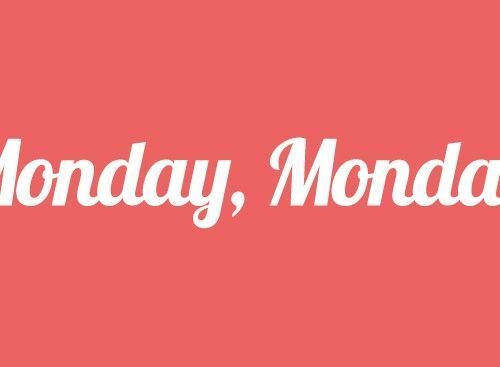 Today, it’s all about the how. Are you freaking pumped or what?! Actually, don’t be — that’d just be weird. 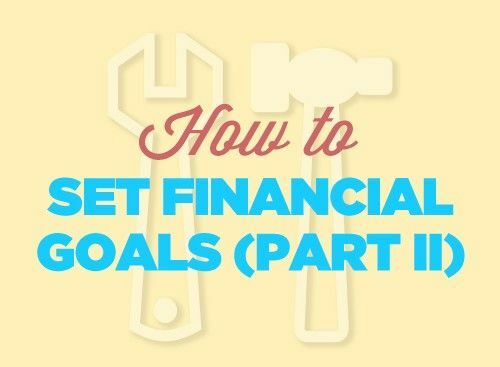 I’m really not sure why finance-related tasks always seem so daunting and confusing, but Roth-inizing your money ain’t a thing. Well, it’s not as easy as buying a Chumbawumba song on iTunes, but the hardest step is understanding why it’s a good idea to start one. So if you’ve tackled that mental hurdle, the rest of this shouldn’t be that bad. Let’s get going! Disclaimer: as is the case in any financial decision, you should consult a variety of sources. This is merely one. 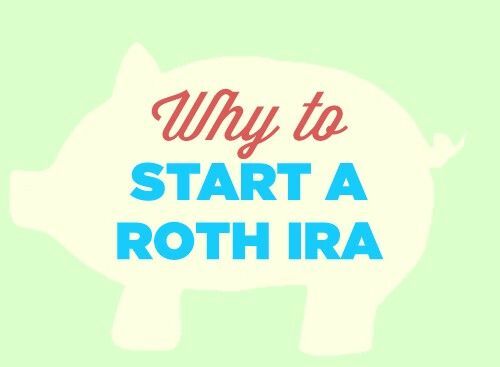 I’ll outline what choices we made when starting our Roth IRAs, but there’s a good chance those choices aren’t right for you. So be smart, do some additional research, and remember that any investment is a risk. First things first, you need to choose where your Roth IRA will call home. There are lots of options — probably too many options. The most popular choices include online brokerage sites and mutual fund companies. Your bank/credit union might also offer them, but oftentimes their options are nothing more than a glorified CD or savings account. If you’ve got a trusted financial advisor/parent/rich uncle, start by asking them. Look at your options and see where each differs on account/transaction fees, minimum contributions, investment options, and the ability to set up automatic transfers. But don’t let analysis paralysis stop you in your tracks. Compare your options, ask around for feedback, and pull the trigger. What we did: When I rolled my 401k over, I opted to go with my existing online broker, ShareBuilder. I already had an account with them and I knew that I’d have a lot of investment options through them. When it came time to opening a Roth IRA for Joanna, I decided to do a little more research. Since I had heard great things about Vanguard, I decided to call them up and see how I’d benefit investing through them instead of ShareBuilder. In short, there would be no fees (annual or transactional) and moving between Vanguard owned funds would be pain-free. So Vanguard it was! After registering, opening, and linking your bank account to your Roth IRA, it’s time to figure out how much you’re going to contribute. But before you throw numbers out, you need to know the rules of the Roth, grasshopper. If you’re making less than $188k as a couple or $127k as a single filer, you can contribute a maximum of $5,500/year, or $6,500/year if you’re 50 or older. April 15th is the last day to contribute under the 2013 tax year, and after contributing, you’ll have a fresh start toward your maximum in 2014. Another consideration is that some investments require a minimum initial purchase. For example, many mutual funds require a $2000 or $3000 initial investment. But after you’ve made that initial investment, you can usually make contributions of any amount. What we did: I didn’t have much of a choice with how much to roll-over from my 401k. But with our brand spanking new Vanguard accounts, we decided to go all-in and play a bit of catch up for the last few years of slacking. 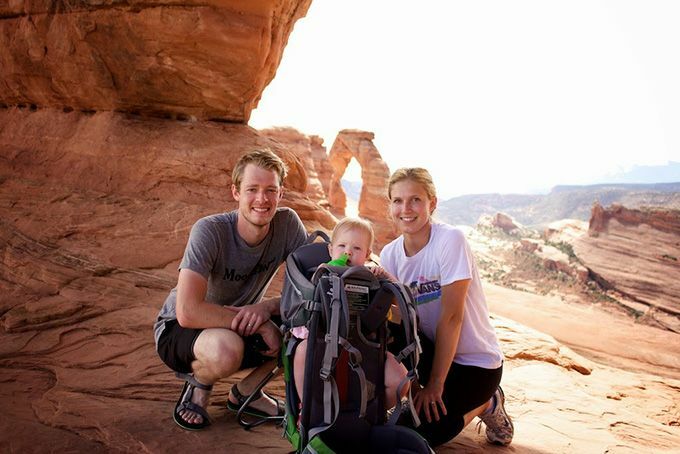 With a $5,500 budget for each of us, we also knew we’d be able to meet most minimum investment requirements, which would keep almost all available investment options open. For 2014, we’re planning on budgeting and setting monthly ($458/each) or quarterly ($1375/each) auto-contributions to our accounts, assuming we can continue to pursue our goal of maxing out this year. Pretty dry stuff, eh? Let’s just enjoy this a few times. Now that you’ve decided where to put your Roth IRA and how much to invest, it’s time to put that money to work. Investing can be really confusing and tricky, but it doesn’t need to be. This post won’t detail the principles of investing and investment types, so spend some time learning the differences between stocks, bonds, mutual funds, and ETFs. Many financial experts recommend a long-term investment strategy rooted in low-fee, well-diversified mutual funds such as index funds (where you’re essentially buying a little bit of everything traded on a certain market) and target-date funds (where your portfolio will gradually transition to more conservative investments as you near your “target-date” for retirement). You can review some of those principles in this post. What we did: I knew Vanguard had a great reputation for having a great selection of low-fee funds that keep more money in your investments instead of paying a fund manager. I specifically researched their Total Stock Market Index Fund (VTSMX) and their Target Retirement Fund 2050 (VFIFX), looking at their historical performance vs. actively-managed funds. In one analysis, VTSMX outperformed 80% of similar funds over a 10-year period. And considering we were total noobs looking at a low-fee, set-it-and-forget-it starter fund, these two funds fit the bill. Easy peasy! What’s great about investing toward retirement at a younger age is that there’s not a ton of pressure to track the day-to-day market. After all, you won’t see that money for 20 or 30 or 40 (!) years. But even still, you should take a look at your Roth IRA portfolio from time to time and make sure it’s still working hard to make compounding money babies. And don’t forget to keep putting more money in on a regular basis. What we did: We’re watching, and surprisingly, we haven’t seen any money babies running around a week after opening them. And for whatever reason, every time I think about a “money baby,” I think of Sea Monkeys — does anyone remember those things?! And just like that, your Roth-inization is complete. Clear as mud? Hopefully not. While there’s a bit of a learning curve and some unavoidable finance jargon, it’s really not bad. The most important thing is not letting the unknowns stop you from starting it as early as possible. With compounding interest, every single year can make an exponential (literally) difference in your retirement savings. So what questions are out there? Did I leave anything out or royally mess anything up? Let’s really express our true emotions and feelings to one another and bond around this virtual Roth IRA campfire. As you consider where to open your Roth, and what investment strategy to use, it’s also very, very important to consider fees! Certainly there are very big differences between various institutions/investment strategies and costs! Bingo. That’s why I made the switch from ShareBuilder to Vanguard. The more fees and higher expense ratios, the less money you’ll be enjoying come retirement. I did what you did, but I didn’t have a huge start up investment. I originally purchased the STAR account because the minimum was $1000. Once I had enough to buy VTSMX–I just did a quick switch! Awesome! I was actually thinking about mentioning the STAR account above as a great alternative if you don’t have the capital upfront to throw against a $3000 minimum fund. So thanks for mentioning it, and glad to hear that it was so easy to make the switch once you reached the minimum. Vanguard lowered the minimum for all Target Retirement funds to 1000 dollars so those are also an option for people just starting out. Awesome! Thanks for the heads up, David. Does the initial investment of 2000 count toward the max contribution for the year? Does the max contribution apply to all open Roth IRAs or just the one? Example: You want to contribute 15% of total household income to IRAs and 401ks but the max contribution only gets your household to 10% so you want to open another Roth for the remaining 5%. Basically are you allowed to contribute another 5500 to another Roth and not be stopped by Uncle Sam? How to you recommend the distribution of percentages if you’re a couple making significantly different amounts? If one person brings in 80% of the total household income, should they hold the lion-share of funds in their IRA? Equal 50-50 split? I have answers — I hope. 1. No, my initial $2000-something does not count against my contribution limit because it was a CONVERSION instead of a contribution. So if you’re looking at rolling some funds over, you can still contribute up to your max. 2. Yes. Whether you have 1 or 20 Roth IRA accounts, the maximum contribution to all accounts is $5,500. Uncle Sam is watching you. 3. That’s a good question, and honestly, I don’t know if there’s a real distinction. If you are married filing jointly, your incomes are considered one, anyway. And if you’re married filing separately, the contribution limits are set in such a way that unless you each make less than $10k in AGI, you won’t be able to contribute a dime. Also, keep in mind that you don’t share an $11k maximum — each spouse is only allowed a maximum of $5,500, meaning the breadwinner wouldn’t be able to put more beyond their own Roth IRA max if their spouse opted to only contribute a small percentage. So as far as I can tell, spread the wealth and diversify between your accounts freely and equally. First off I want to say I love your website and look at it everyday on my lunch break, so thanks for all the awesome info and inspiration! I have a Roth and a Traditional IRA, which will soon be at the same institution. I moved a few months ago and afterwards I switched my old 401(k) to a rollover IRA since I was required to do that by T.Rowe Price. After finding out about the maintenance fees for any acocunt below $10,000 I am switching it over to Charles Schwab, which is where I have my Roth. Have to say I will be trying to get as close to the maximium contributions this year, but not sure how I will make that work. Any advice on rolling over Traditional/Rollover IRA into a Roth IRA? Would it be worth it since I am at a lower tax bracket now than I would be later in life? Just a little background I am 23 and while I am still trying to pay off school loans (lucky me) I am always serious about saving my money. Any advice is appreciated! Thanks for the kind words, Rebecca! It sounds like you’ve already got a good idea of what you want to do. If you think there’s a high likelihood that you’re current tax rate is lower than your retirement tax bracket (which is common, especially for us 20-somethings), than it’s probably a good idea. That being said, I also don’t think it’s a bad idea to diversify your retirement investment vehicles, much like you’d diversify your portfolio. So just because a Roth might seem like the smarter long-term play, it’d be a no-brainer to still contribute to your employer’s 401k with matching contributions, if offered. Those pre-tax options (IRA & 401k) could also help hedge your bet in the event that your tax bracket is actually lower at retirement. And lastly, just remember that you’ll be paying taxes this year on that traditional IRA should you convert it to a Roth. So make sure that you’re prepared for additional taxable income and that you can afford to pay it come tax time. Hope that helps! Thanks, Megan! We usually think our weird concepts and ways of understanding money things — like money babies — only make sense in our own heads, so we’re always happy to hear when it kinda-sorta makes sense to someone else. When starting out people should open a Roth and put their emergency fund in it. That way as you build up your funds you don’t miss out on the contribution amounts allowed in a year. I know you can backdate a Roth but for many it might take a few years that you dont want to miss out on. I’d tend to agree, but only for those who aren’t still paying off debt. Since it is an investment and by no means promises a certain return (or a return at all), I’d caution people to put all of their liquid emergency funds into a Roth. That being said, we’ll be counting a good portion of our EF as our Roth now. Great summary you two! So important to begin saving for retirement at a young age, and what better way to save than a Roth IRA!? We’re (hopefully) at our lowest pay point and tax rate in our lives (minus the whole infant and adolescent ages where we don’t pay taxes), that it’s a great strategy to put your money to work long-term in this type of vehicle. One added feature of the Roth IRA that makes them so attractive is if you decide you DON’T want to withdraw funds when you retire (i.e. you have hit the jackpot, saved LOTS of money, have other sources you want to draw down first, etc. ), then you don’t HAVE to (unlike a Traditional IRA where you must begin taking a certain percentage out when you turn 70 1/2). We started our first Roth IRAs in college, and are very thankful that we did. It wasn’t much at the time, but it was a good start and a great habit to get used to thinking long-term with our money and goals. Great point about not having to take the money out of the Roth. If you don’t need to tap into it, that’d be a pretty awesome way to leave a load of cash for your beneficiaries. Yeah, great deferral tool to pass on to a next generation if you end up being fortunate enough to amass a lot of savings! Great post! I had a quick question about when you can start making contributions for the next calendar year. For example, I read on another site that you have from January 1 2014 until April 15 2015 to make contributions to your Roth for 2014. But what if you already max out by December? Can you begin contributing to your 2015 Roth in January-March or do you have to wait until late April? I’ll be hitting the 30 year mark later this year, yikes, so starting a Roth now would better than later. However I’m not sure how it would work for me. I live outside of the US, but I keep a US bank account just in case — it basically just sits there. I get paid in euros in my European account and transferring can be quite the hassle and costly. I’m not sure how long we will be here since my fiance is a European citizen and me US. For personal reasons I’d be more comfortable setting up a savings in the US rather than in Europe. Do you have any advice on how to go about this?